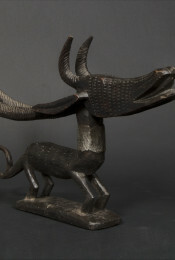 Given the scarcity of copper ore in western Africa, the metal was a highly prized commodity attained through trade with Europe or from other distant parts of Africa, such as Morocco or Katanga in the Congo. 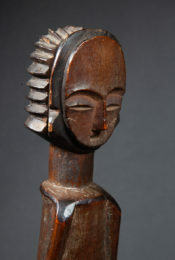 As stated by Laurick Zerbini (L’Afrique sans Masque, 2002), the shape of this currency is inspired by manillas exported by the Portuguese on the coasts of Nigeria as early as the 16th century. 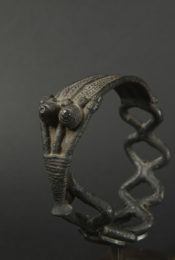 Manillas were bracelet-shaped weights of different sizes that served as a means of exchange. 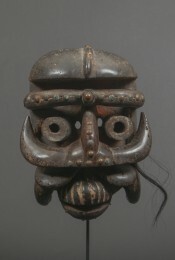 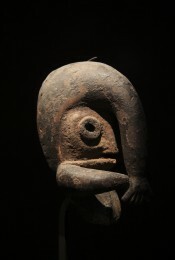 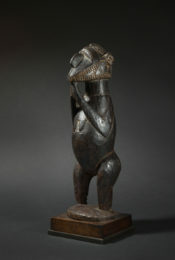 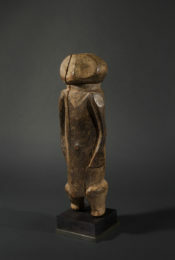 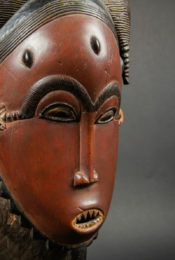 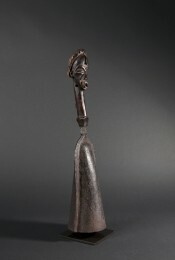 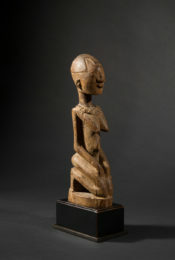 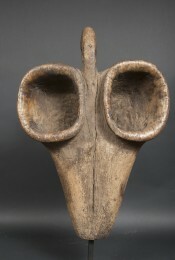 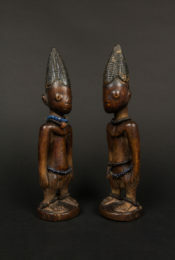 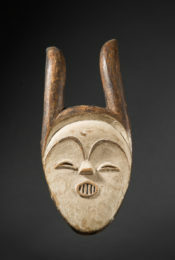 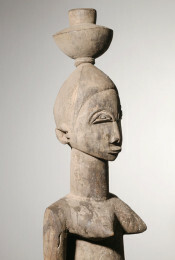 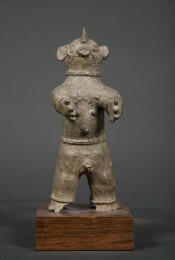 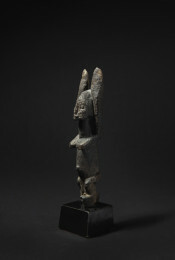 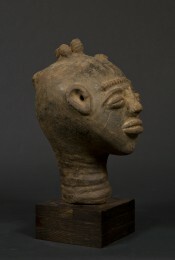 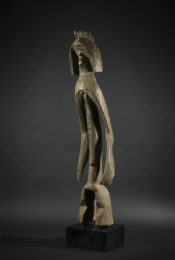 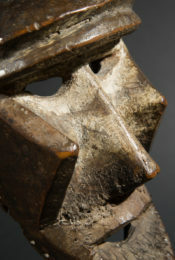 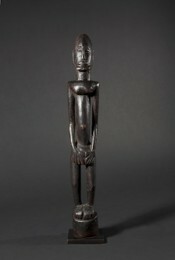 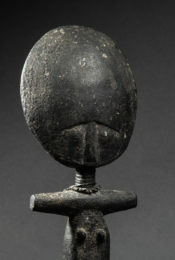 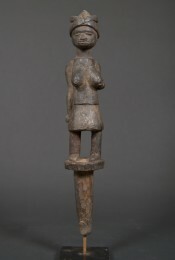 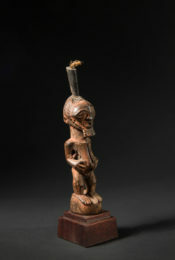 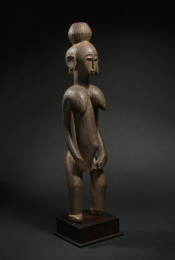 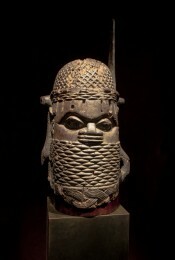 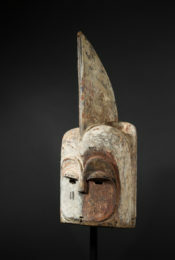 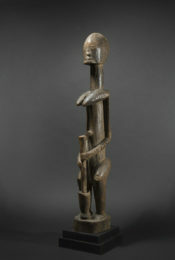 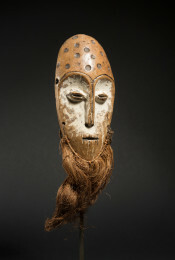 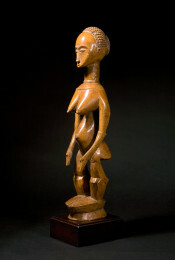 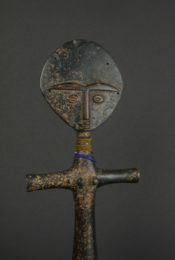 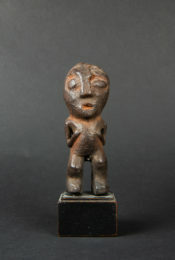 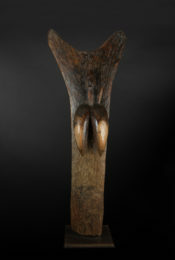 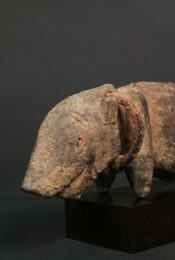 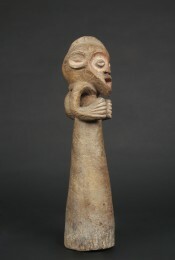 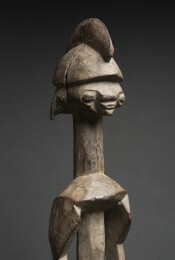 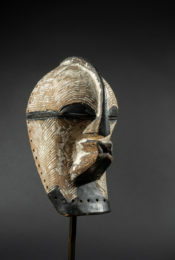 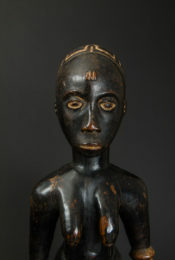 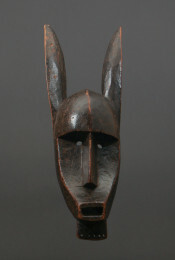 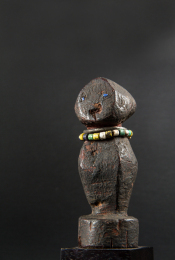 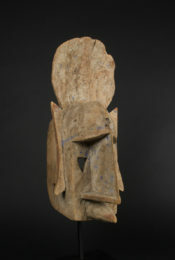 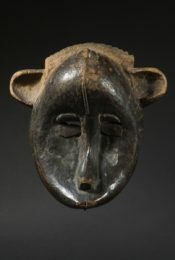 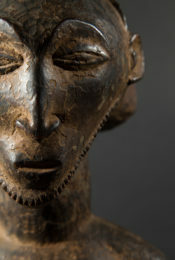 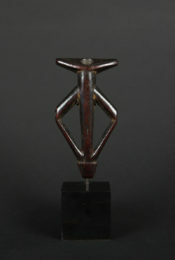 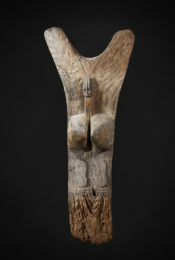 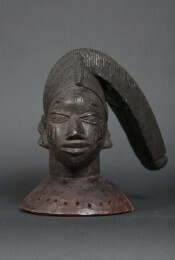 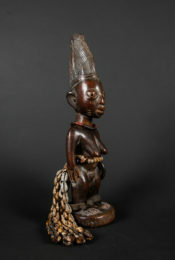 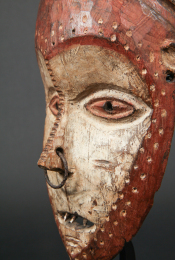 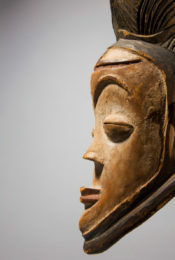 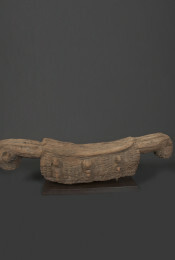 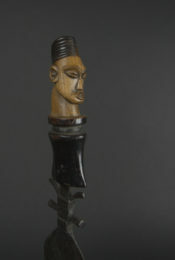 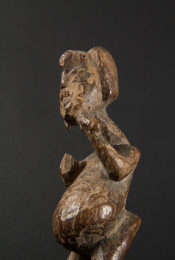 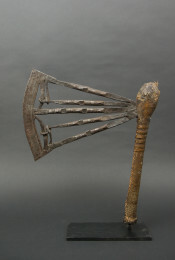 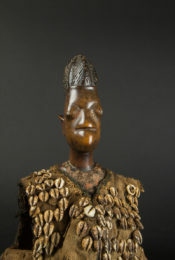 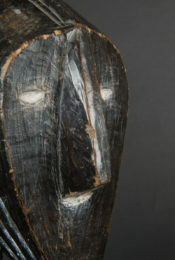 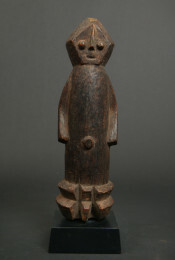 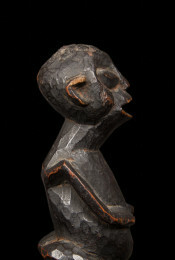 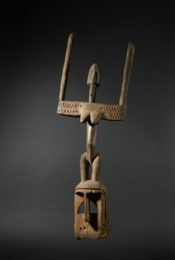 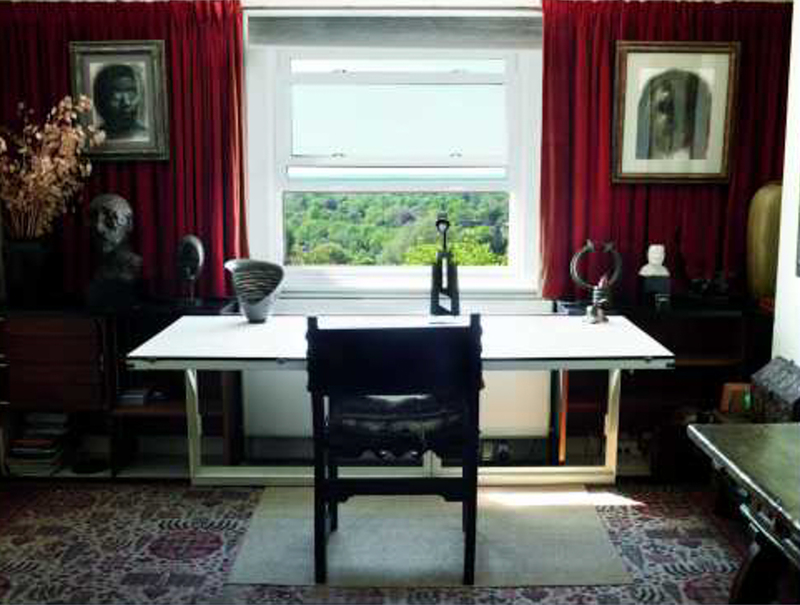 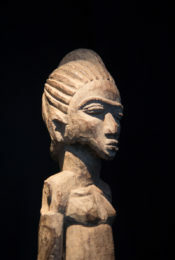 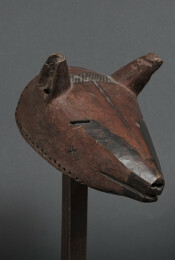 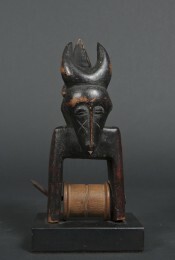 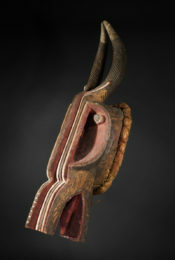 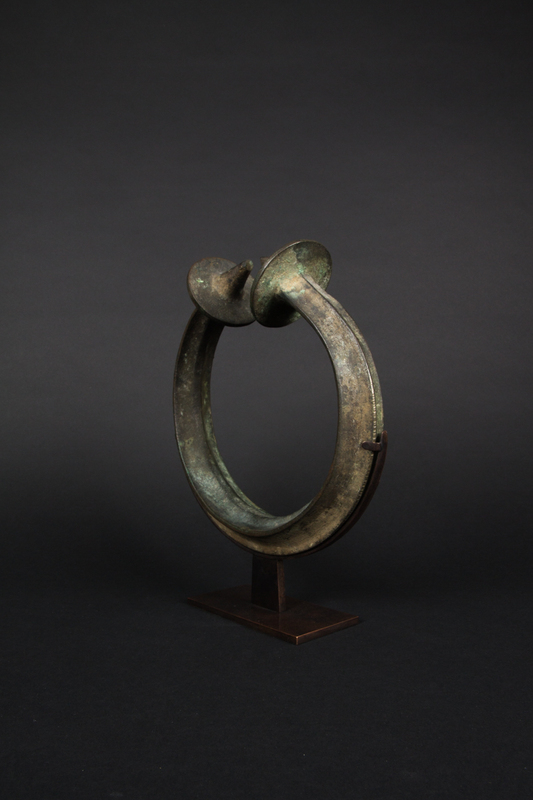 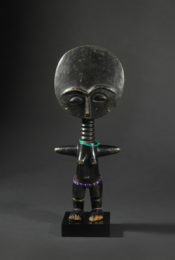 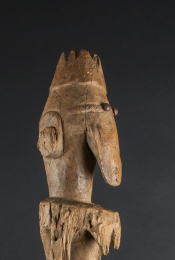 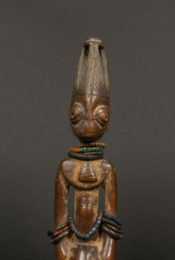 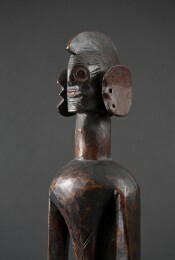 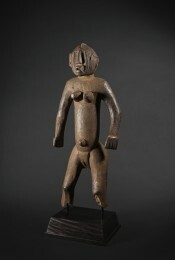 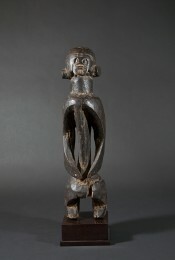 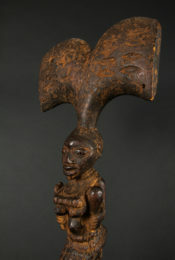 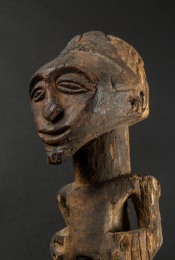 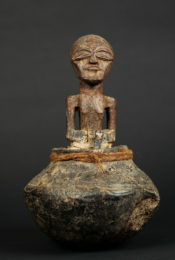 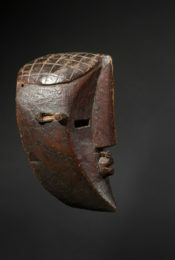 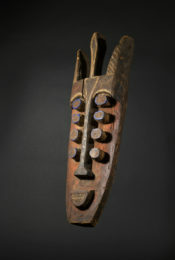 However, among the Yoruba, the role of these torques was not limited to their monetary value. 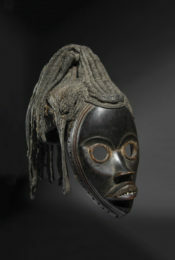 They could also be integrated into social and ritual exchanges. 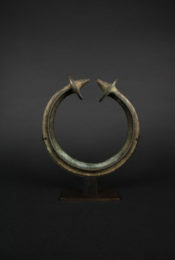 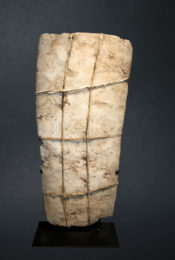 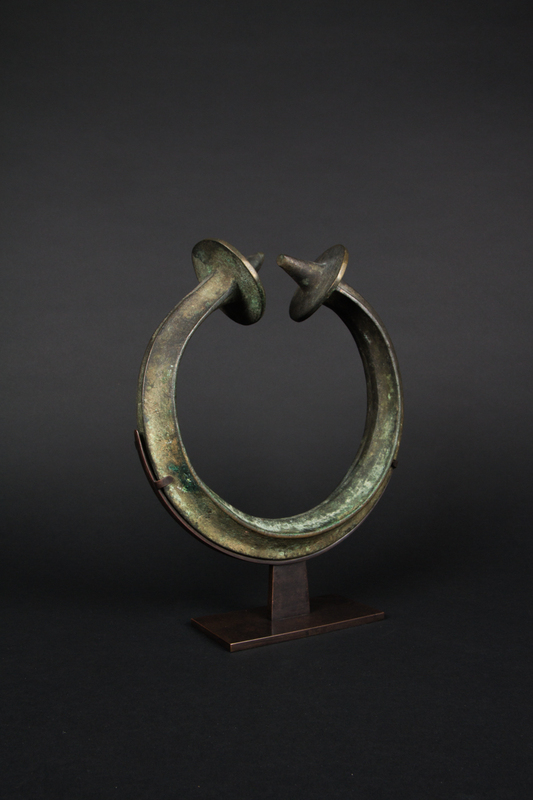 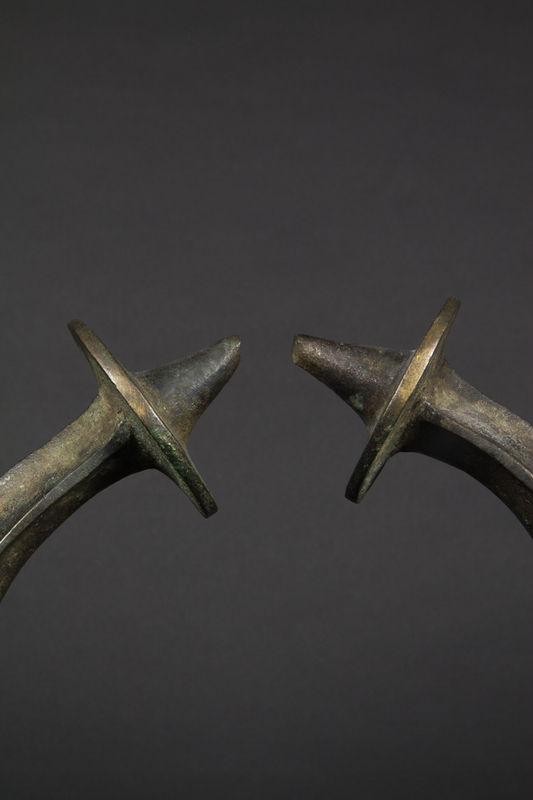 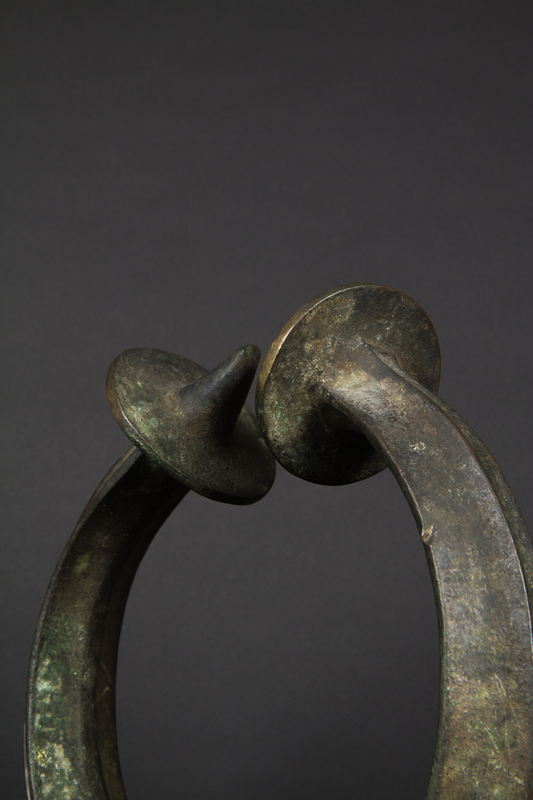 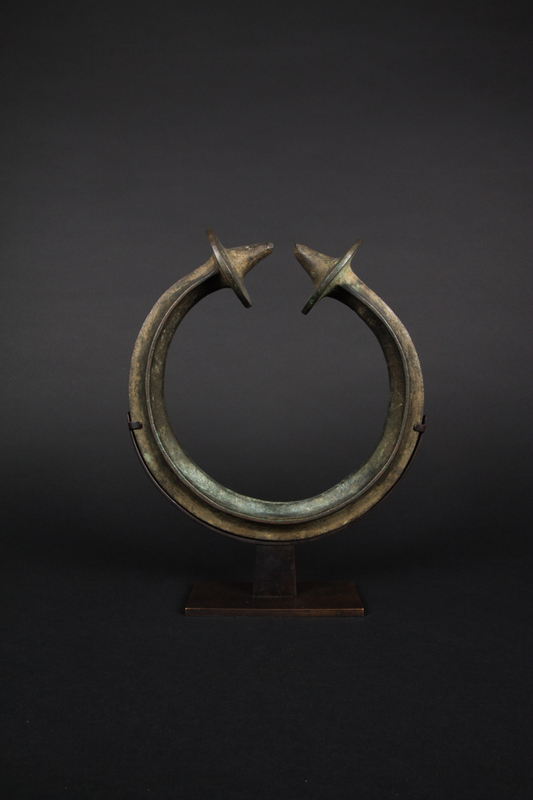 These torques-currencies were worn by women during certain ceremonies as well.